today is my big brother’s birthday!! – cocoa likes this! 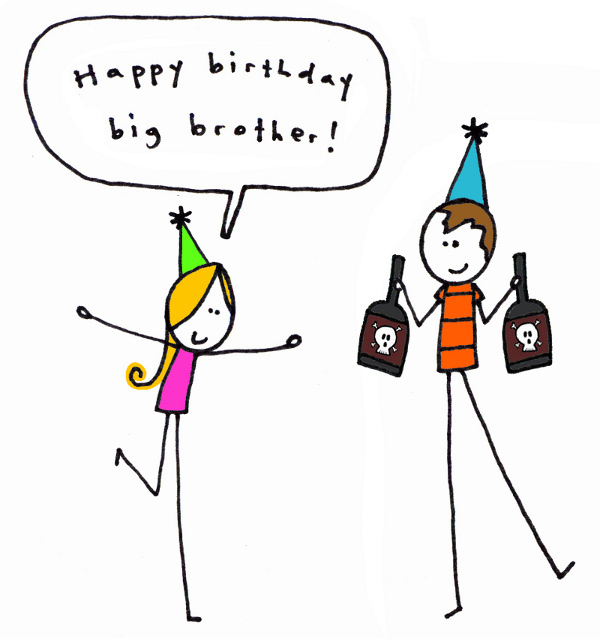 today is my big brother’s birthday!! i have a big brother. his name is Graham! he’s a pretty coo dude. as you can see i am not getting drinkly. is not embarrassing him in front of all his friends on his birthday.